A tiny little world in of itself holding so much information, nutrition and energy. Seeds are packed full of protein, fiber, heart healthy fats, minerals, enzymes and some of the highest concentration of balanced Omega Fatty Acids on the planet. 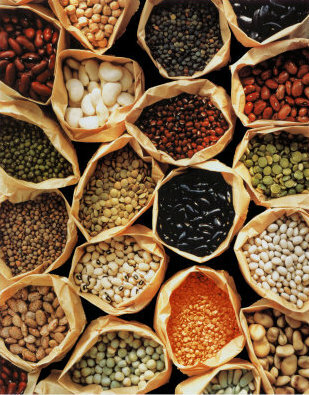 Studies have shown that seeds can help prevent heart disease and the buildup of LDL Cholesterol (the bad stuff). And, just recently seeds have started to show effectiveness in balancing women’s hormones and improving prostate health in men. (Maybe this is why I have been craving handfuls of sunflower seeds.) It would make sense that something that begins life would assist the systems that generate our own offspring. Now, many “people” have the opinion that the seed can cause problems in the body as it carries a “natural pesticide” (layman’s terms) or enzyme inhibitor, to deter predators and to prevent it being broken down and absorbed by anything that may consume it. Considering its main and only goal is to reproduce I find this brilliant. I will let you educate yourself and make a judgment but I have never had problems with seeds and only eat them raw, toast them myself or soak and sprout them, which is so very easy. The roasted and processed seed products on the market can carry rancid oils from the heat and denaturing of the nutrients. Like with all of your food, choose and prepare with love. Full of carotenoids- these plant derived antioxidants have super immune boosting and disease fighting properties. Here is my “how to reap what you sow and watch the love grow” seed 101. Sunflower: I started with this as it is the season of this seed and its plant. They are full of phytochemicals (sunshine) which help digestion. They are rich in folate (what the body converts folic acid into)- a vital nutrient for women, especially pregnant women. Packed full of Vitamin E, selenium and copper- a perfect cell food. These are the perfect seed to sprout and just toss onto salads. Seed Sprouting Jar (Quart Kit) . Sesame: These little guys have been used for centuries in traditional eastern cultures for their benefits. They may be most well known for making tahini, the base of my favorite easy dip/ dressings of all time “sesamole”. They are another seed that is amazing for women as they have been used in treating symptoms of menopause and PMS. They are full of calcium, magnesium, zinc, iron, fiber, lignans and phosphorous. If using at home I suggest buying in bulk with the hulls on for every bit of nutritive value. Or, buy a high quality organic tahini and add to sauces, dressings and even smoothies for a rich taste. Pumpkin (aka pepita): Let’s hear it for the boys!! Studies show that this seed helps nourish the prostate and can stop the triggering of prostate cancer cells. Full of carotenoids- these plant derived antioxidants have super immune boosting and disease fighting properties. They have even been used in large amounts to treat parasites (not something to self administer). I love to use these in my pesto sauces instead of nuts and they are another seed that are easy to sprout, toast and toss with spices for a delicious salad topper. Chia: Cha-cha- cha. If we only knew so many years ago that this funny novelty plant held some of the most essential nutrients of all. These are a must for every athlete as they maintain hydration levels, stabilize blood sugar and are packed with 34% Omega-3’s- major anti-inflammatory. They are packed with fiber and protein but have little to no calories! I have clients who have suffered from constipation and a tablespoon a day helps relieve symptoms almost immediately. These are your smoothie seed. I like to add them after I blend and let the smoothie sit a minute as the seeds create an amazing thickening quality. Flax: This was the first “super seed” to bring our awareness to what goodness can be packed into such a small vehicle. The oils in the flax seed are so versatile and nutritious it’s no wonder it shows up in everything. You have most likely already read that they are higher in lignans and antioxidants than any other seed and blueberries. We also all know that they are so full of fiber and Omega’s (a theme here with the seed family). I use them in my smoothies and baked goods. I do a lot of gluten free baking and pretty much add the whole or ground version to everything. One of my favorite gluten free baking books is Flying Apron's Gluten-Free & Vegan Baking Book. It helps get you started and has some super yummy treats- oh and is a local Seattle favorite. Hemp: Legal in every state. These are the ultimate superfood seed. They contain 10 essential amino acids and are composed of over thirty percent pure protein, making them an excellent daily protein source. They are also composed of 40 percent fiber, the highest amount of any grain on earth! The balance of Omega 3 to Omega 6 is so body friendly it is king to other seeds. I really like to make my own hemp milk which is so very easy if you have a blender. I then use it as a base for smoothies or add nutmeg, cinnamon, cardamom and a small amount of raw honey for a delicious treat. This little seed will definitely make you feel high- on life. So, plant some seeds- in your body- in your belly and see vitality grow through your whole system. Organic Tahini- ratio can be 2:1 or 3:1 avocado/tahini. I always like more tahini :). Possible sprinkle of water as the tahini can get sticky when you begin to blend. In a food processor blend tahini with raw ginger, garlic, parsley or cilantro and some of the lemon to taste until it is well blended (you may need to add a little water to maintain a smooth dip like consistency). Mash the avocadoes by hand and add the tahini mix. Add the turmeric, salt and pepper and cayenne to desired taste. Keep adding lemon and any more chopped herbs as you wish. I love to top with fresh toasted sesame seeds and a drizzle of sesame oil. Serve with organic corn chips, veggies or use as a topping for grilled fish tacos. Now that's some love- Livin' Wellbelly.